Calling all Lego lovers! 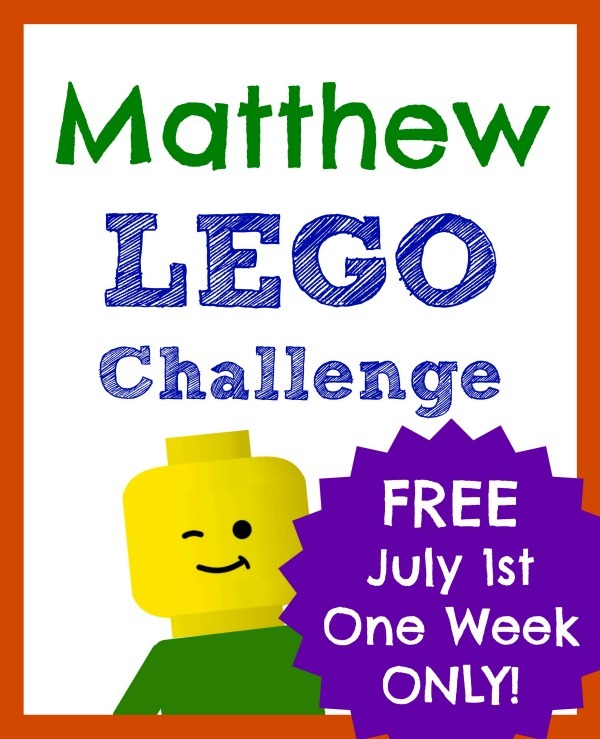 Through 7/8/15, you can get a free Matthew Lego Challenge printable pack from Proverbial Homemaker. The regular retail price is $5.99! This is perfect for keeping busy during the summer! This printable pack includes 70+ pages of daily build challenges and also includes scripture copywork and notebooking pages. You will find both ESV and KJV versions available. Click here to see the full free Bible Lego Challenge offer!